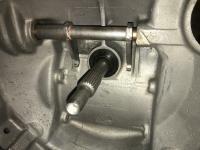 Pitted upper bearing surface on steering box shaft. 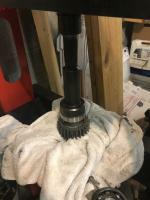 Pitted section on left, you can see the smooth surface, like it's supposed to look, in the center of the shaft. 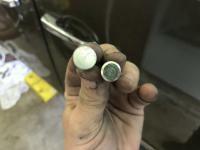 NOS on left, aftermarket on right. 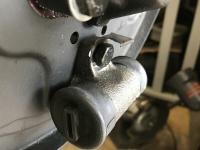 Notice the thinner groove for the horseshoe clip on the aftermarket pin. 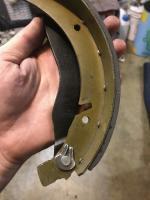 This can cause a clip fitment issue, depending on the thickness of the clip. 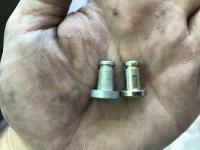 Notice the smaller diameter and thickness head on the aftermarket pin. 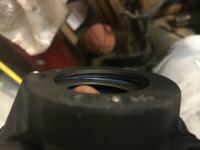 NOS transmission input shaft seal, with shoulder. 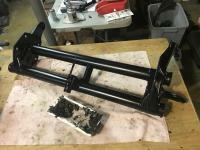 Lower housing from an ATE split bus steering box, the type used around 1959-1961 or so. 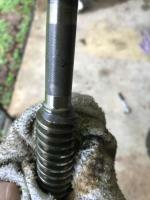 Q-Tips show the two threaded passages that go through to the chamber that contains the gear oil. 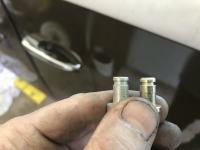 The two bolts that go in these need to have sealant and/or sealing washers installed, or they can leak. 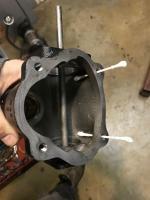 The lower one could be removed if you wanted to drain the box to change the oil. 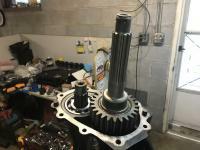 Most, but not all of the oil would come out. 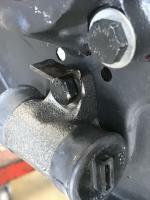 Clip for the emergency brake arm pivot pin, shown crimped after installation. 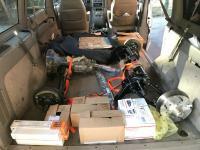 Loaded up and ready to deliver the parts. 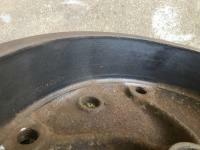 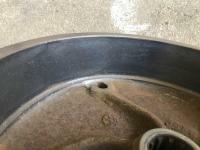 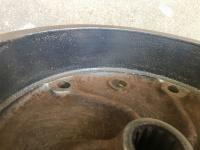 Heavily pitted brake drum surface. 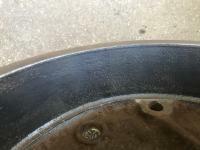 These support the emergency brake bar. 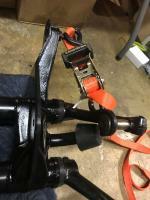 Using a ratchet strap to lift the upper trailing arm enough to install the rubber stopper. 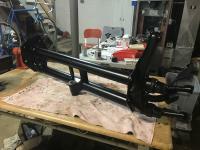 Spindles installed. 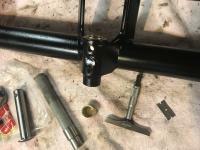 All it takes is 5 minutes and a couple tools. 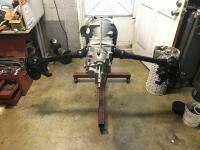 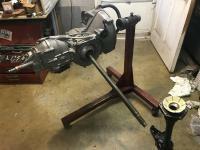 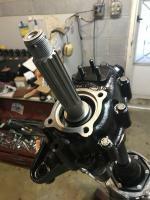 Transmission getting closer to being finished. 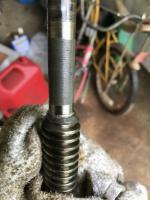 A bunch of old grease removed from the tubes. 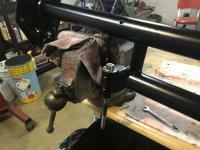 Checking how far the upper bush protrudes from the sleeve. 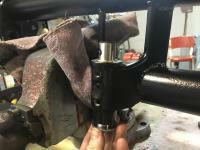 Checking fit of the pin in the reamed bushings. 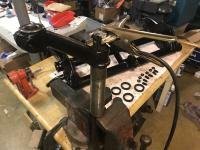 Welding the cracked ends of the torsion leaves. 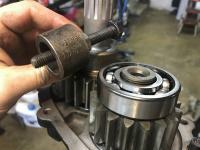 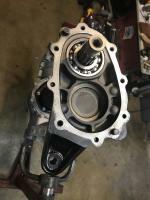 Installing rear axle seal into bearing cover. 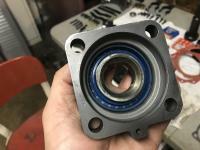 You can see that the seal has not been pressed all the way up to the inner machined flange. 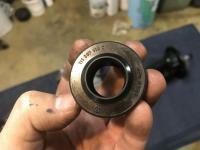 Seal pressed in all the way to the inner machined flange. 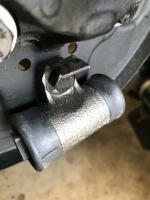 Reduction box cover installed. 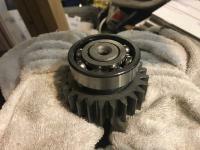 Note inner bearing spacer on axle. 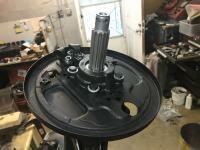 Installing the lower outer bearing. 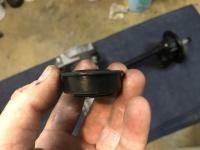 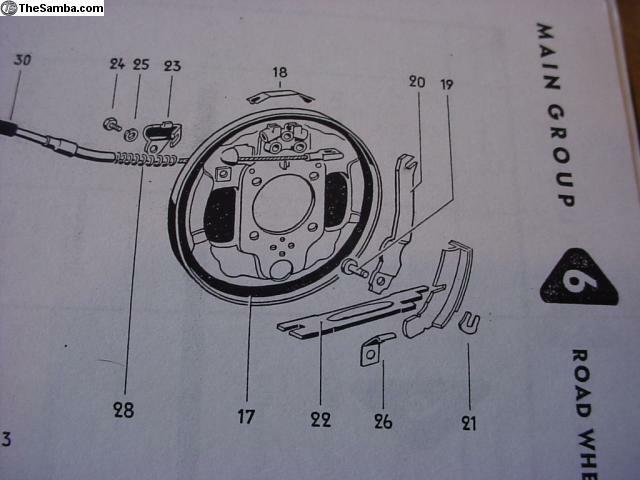 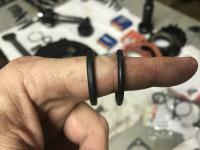 Note the washer between the bearing and the sealing o-ring. 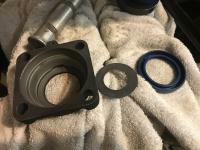 Comparison of a genuine VW axle o-ring (left) to the cheesy generic round o-ring that comes in the WolfsburgWest rear axle seal kit. 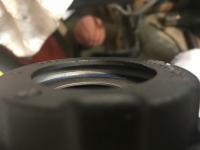 Axle spacer installed into the seal and bearing cover before installing the assembly on the axle. 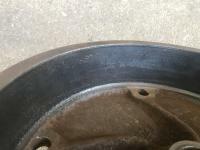 Checking & setting axle tube side clearance with no axle installed. 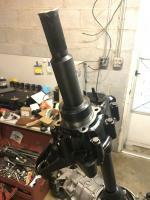 Checking for proper rotation and side clearance of the axle and gear carrier. 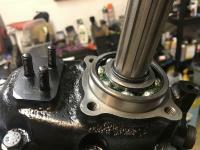 Pressing the lower inner bearings onto the stub axles. 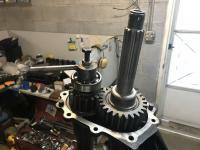 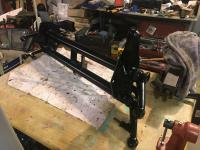 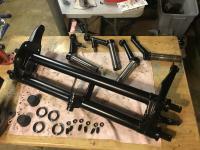 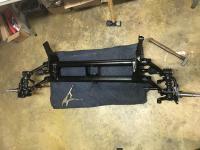 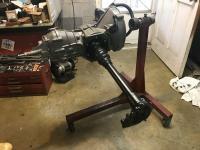 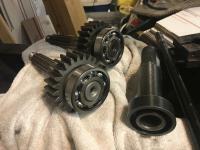 Installing the upper gear and upper outer bearing. 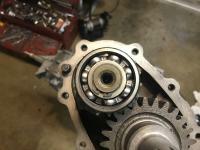 Bearing needs to be installed past the groove for the snap ring. 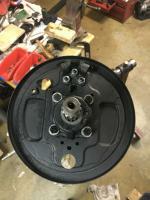 Axle bearing cover, oil slinger, seal.